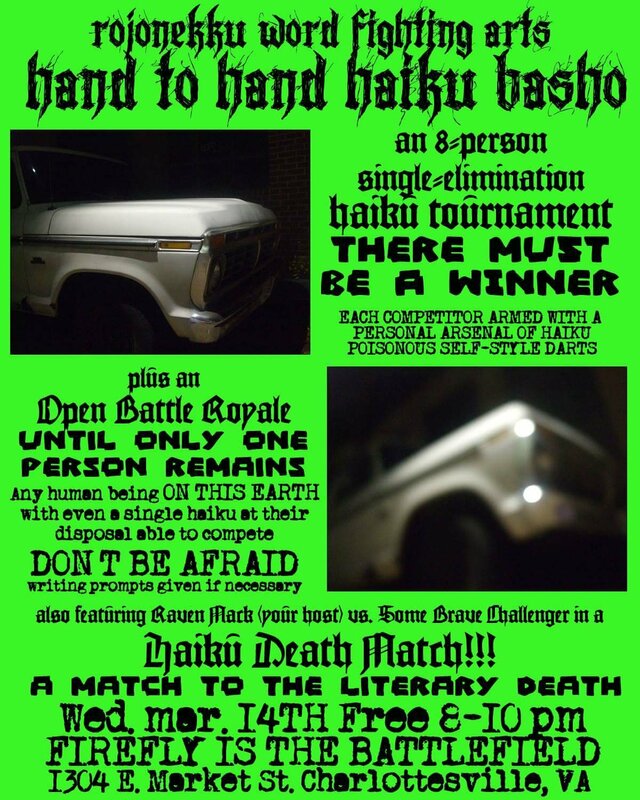 Thursday September 13th, 5 days before my 32nd birthday, a Southern Gothic Futurist Haiku Slam at Twisted Branch Tea Bazaar at 8pm in Charlottesville. Free to get in, bring $$ for snacks and tea, come to meet your cousins. We are all cousins here. 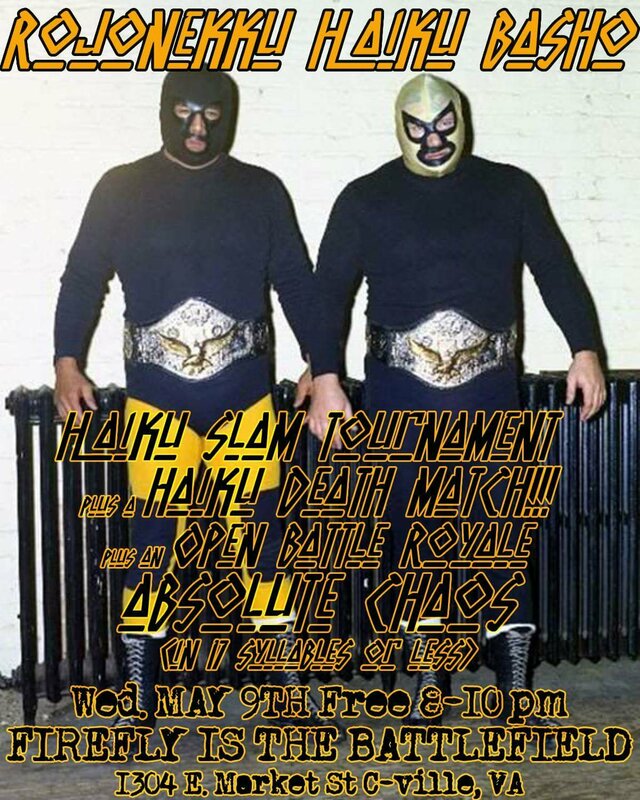 Rojonekku Hand to Hand Haiku Basho May 9 at Firefly in Charlottesville!! 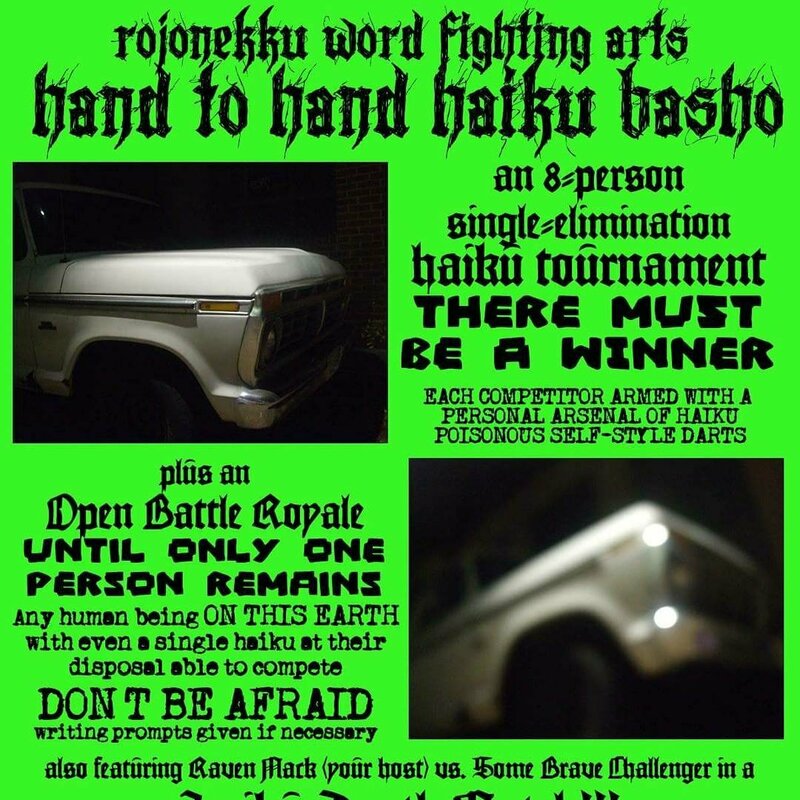 Rojonekku word fighting arts hand to hand haiku basho Wednesday March 14th. Literary or literal. Come find out. Firefly. Cville. Be there. Friend or pho. Fo. Foe.